Woven from Burmese rattan which is natural and sustainable, our rattan trays and baskets come stained in a rich honey-brown to provide a sophisticated and perfect finishing touch. Products are handmade and each piece is unique therefore slight variations and imperfections exist. 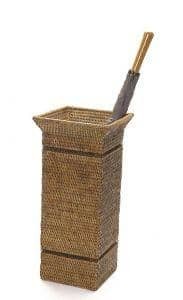 Artifacts trading company manufactures a great line of rattan items for your table and home. Wipe clean with a damp cloth.